In writing, it’s fun to compare and contrast things–people, objects, places, settings, to make them different, more interesting. 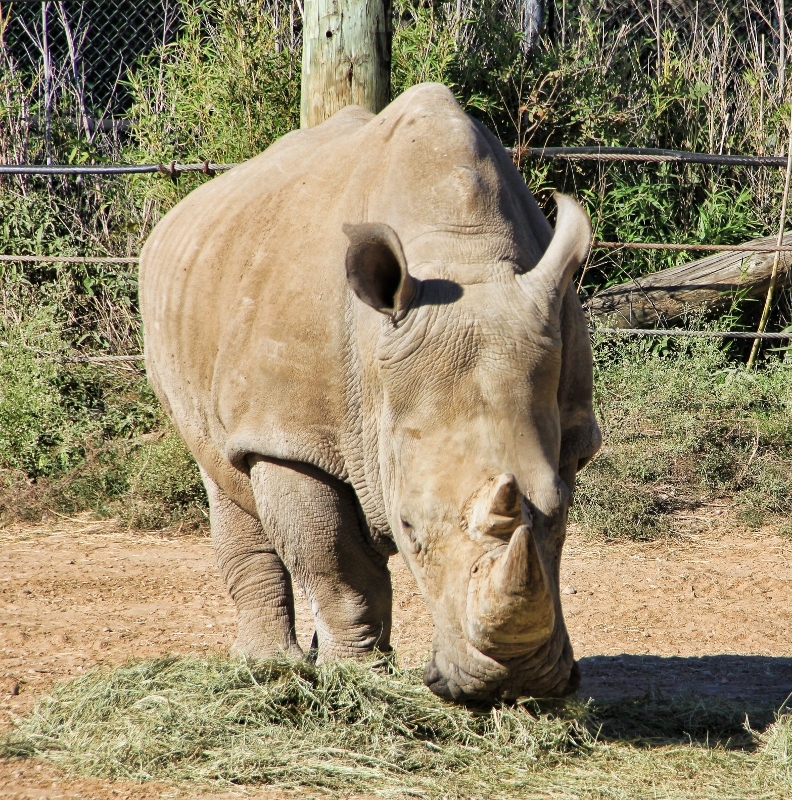 Here is a case in point: Rhinos can be plain… boring. If they’re just… standing around. Doing nothing. But when I was at the Omaha zoo, the rhinos were bathing and it intrigued me. It was near freezing out at Thanksgiving time in November, so it seemed ironic that they would take a bath, not to cool down! Before this, I was visiting the Waco zoo, and this is what I found–rhinos sleeping. So??? But it was the turkey vultures perched on top that intrigued me. My friend, who was with me, told me the rhinos were merely statues. I told her no, they’re real. She couldn’t believe it. We watched for a long time, until she saw one’s ear flutter. And then satisfied they were real, we moved on. And here is further proof that the rhinos are alive and well in Texas. It was feeding time at the zoo. Finding something interesting in a setting is like writing about something interesting. We want to focus on that–and not on the mundane, or it will make our pictures, and our writing just that–mundane. Review: A Seal Wolf Christmas by Terry Spear. Have a super great day! Maybe the rinos were trying to keep warm in the water?